Join Kirk Gentalen, naturalist and environmental educator, on an early bird walk on the new Bobolink Trail in South Thomaston on Thursday, May 16 at 7 am. 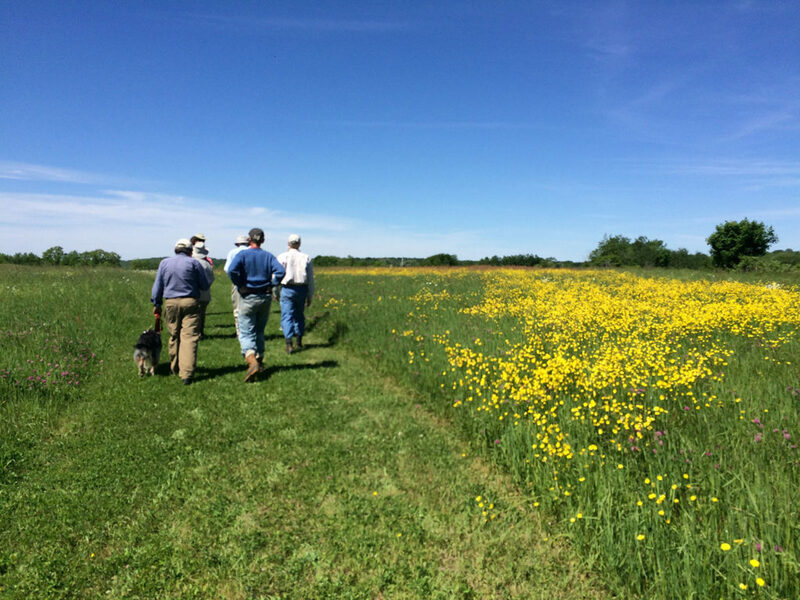 This will be an easy walk to look for birds and learn about the ecosystem of hayfields, woods, and wetlands on the Riverview Hayfields Preserve that stretches from the banks of the St. George River to the Weskeag Marsh. Kirk has worked for 25 years as a naturalist via environmental education and ecotourism programs in 13 states, including Alaska, California, Georgia, and Massachusetts. He currently works as a steward/naturalist for Maine Coast Heritage Trust with most of his work focusing on Vinalhaven Island in Penobscot Bay. He also leads walks and talks and outreach programs with schools up and down the coast of Maine. Kirk edits the “Vinalhaven sightings report” nature blog and writes the column “Nature Bummin’” for the St. George Dragon community journal as well. On the side Kirk does tracking, breeding bird and vernal pool surveys. In his free time Kirk likes to go outside and look around. Kirk lives in St. George with his wife and son. Parking arrangements will be posted soon – stay tuned.